Why Do The Langley Police Respond To Sonitrol Burglar Alarms And Not Others? Because Police trust Sonitrol! We only use verifed burglar alarms, so we have very low 3% false alarm rates, and over the years we've built strong partnerships with local Police departments. That's why the Police hurry to respond to Sonitrol alarms ... and not to others. FACT: The average Police response time to a Sonitrol burglar alarm is just 3.5 minutes! Unlike conventional alarms, Sonitrol's unique verified audio and video security system enables our operators to hear and see what's happening the instant the criminals gain entry. We verify the actual source of the alarm, we get the police to attend the scene immediately, and we relay real-time break-in information to the responding officers, so they can catch the criminals. We have the best criminal capture rate in the industry (over 170,000 apprehensions to date!). We have the fewest false alarms (Less than 3% vs. a 98% from the rest of the alarm industry). 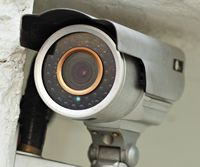 We have verified audio and video burglar detection, full remote verification and 100% coverage. We have a commitment to service and a unique guarantee that is second to none, which unverified, conventional alarm companies simply cannot match! We fully support, and conform to, municipality verified alarm response policies. "My advice ... purchase a Sonitrol verified response alarm system to protect your business ... it's the best security system available and the Langley Police are guaranteed to respond." Joe Wilson, CEO, Sonitrol Western Canada. Still not convinced? Download this FREE eBook and learn what other security companies aren't telling you - "25 Misconceptions About Conventional Alarm Systems". Or complete this form and contact us now for a free consultation. © 2019 Sonitrol Western Canada Inc.